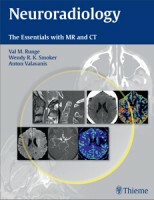 Pre- and post-contrast axial T1-weighted scans are illustrated. Pre-contrast, several small lesions in the frontal lobes, in particular on the left, demonstrate hyperintensity. 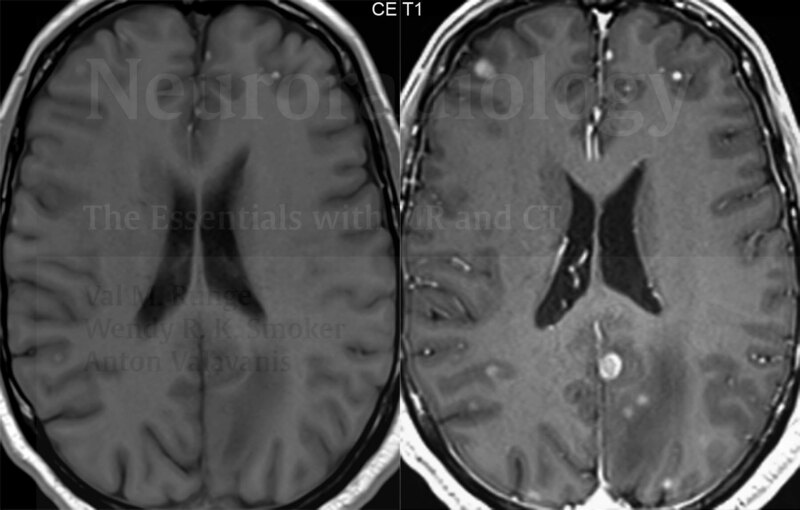 Numerous small nodular enhancing lesions are noted post-contrast, all at the gray-white matter junction. Hemorrhagic metastases are seen in up to 15% of brain metastases. 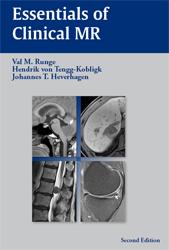 A mnemonic for the primary tumors that present with hemorrhagic metastases is MR CT BB – melanoma, renal cell carcinoma, choriocarcinoma, thyroid malignancy (papillary carcinoma), bronchogenic carcinoma and breast carcinoma. Hemorrhage is also seen following radiation therapy. In regard to melanotic melanoma metastases, recent investigation has suggested that the hyperintensity on T1-weighted scans pre-contrast is due to binding of paramagnetic metals by melanin, rather than the melanin itself.